Maisie McCabe meets Andrew Fisher, whose music-recognition service is giving brands a new way to engage with viewers. Hammersmith is an unlikely place to find a hot, young tech company. The West London borough does not have the ring of Palo Alto, Menlo Park, Sunnyvale, Mountain View or even the "Silicon Roundabout" on the other side of the capital. Yet in an unassuming office on a largely residential street is a digital service with as many UK users as Twitter. The softly spoken technology entrepreneur Andrew Fisher, who has been the chief executive of Shazam since 2005, is demonstrating how the app works. When one of its more than 200 million users click to "tag" a song, Shazam can identify the track even if there is loud background noise. After adding the ability to download tracks in 2007 and buy tickets in 2009, Shazam has set its sights on TV advertising. Fisher explains how Shazam's algorithm detects the difference between the highest and lowest frequency and then compares it with its database. A match is found within seconds and Shazam downloads information, free content or competition details. Shazam for TV launched in the US in February 2010, when it gave away 5,000 pairs of Dockers chinos during the Super Bowl. Baby steps were made in the UK (you could use Shazam to tag the Faithless album The Dance when it was advertised on TV in October 2010), but the service only launched properly in May through an exclusive partnership with ITV. Given that the service has its own ad sales team in the US and is recruiting for sales people to join its European commercial team, it seems odd to have limited itself to working with one broadcaster in the UK. Fisher explains that Shazam chose to partner with ITV because its sales team has the potential to scale the business quicker than Shazam could do on its own. "They are the leading broadcaster and sales team," he says. "So that was the big motivation for us. They have the established relationships and the established client base." The first "Shazamable" ads, for Pepsi Max and Cadbury, ran during the Britain's Got Talent final. In the first break, Pepsi Max gave viewers the chance to win festival tickets and merchandise. In the next one, Cadbury offered London 2012 opening ceremony tickets through a portal produced by Drum. Fisher says brands are most successful when they follow some or all of the following guidelines: add an on-screen call to action to the creative (which increased interaction 25 times during the 2012 Super Bowl); offer viewers free additional content; hold a prize draw or give something away; offer them a humorous experience. Like any new technology, there are always teething problems. There was so much demand to engage with the Cadbury campaign that the confectionery company's servers crashed. David Wilding, the head of planning at its media agency PHD, says they learnt a lot from the experience, but he doesn't believe it works for every brand. "I would be very surprised if people were 'Shazaming' an ad in every break," he says. Pepsi's media agency is similarly cautious. "The initial interaction rate was very strong and the client is happy," Scott Whitton, the audio-visual business director at its agency Mindshare, says. "I do not believe the Shazam logo will become too commonplace across TV creative, but it will be beneficial for certain categories and briefs." Across the Pepsi and Cadbury ads, Shazam recorded 50,000 interactions. Wilding says it is difficult to judge if this is a good result. After all, ITV aired a bespoke spot preparing viewers and the show was watched by more than 13 million people. But it is competitively priced: to Shazam an ad, brands pay £50,000 for a licence and an undisclosed "ingestion fee". Simon Daglish, the group commercial sales director at ITV, believes 50,000 tags was an "incredible result" for a new format. "There has been lots of stuff about the TV companion app Zeebox, but there are no figures to back it up," he says. "We can provide cast-iron figures and have a service that works 99.9 times out of a hundred." Over the past two years in the US, Shazam has achieved cut-through. This year, a third of the ads during the Super Bowl were Shazam-enabled (for brands such as Toyota, Pepsi and Best Buy) and a huge 45 per cent of people who tagged an ad interacted further with the brand. For Fisher, the good news is that use of the second screen is increasing. According to the IPA TouchPoints 4 study, 21 per cent of UK adults watch TV with a second screen every day. 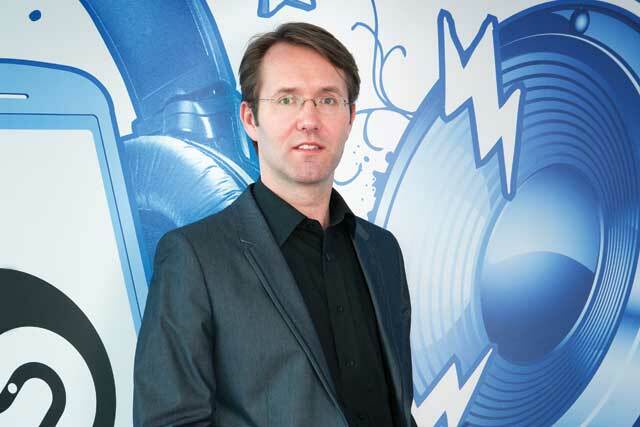 Yet Nigel Walley, the managing director of the digital media consultancy Decipher, questions whether people will use Shazam if it does not integrate into other apps people are using during TV shows. "Viewers have to come out of the Britain's Got Talent app, Twitter or fire up a new app to use Shazam," he says. "Neither seems a good way of doing it. It would be much better to be integrated into a programme app or an EPG app." For now, Fisher won't be drawn on whether Shazam will integrate its functionality into other apps. Or whether it will replicate its in-programme experiences it has provided in the US for shows such as Being Human, where a user can get more information such as plot lines. But with more than ten million users in the UK, advertisers should take note of Shazam. Yes, there are issues around whether people will bother to get their phone out, what brands are suitable and how much that second screen will be worth, but the technology works (most of the time).